Friedly Fires kick off a North American tour in Philly on May 24th. Joining them on that tour, including at their sold out May 25th Webster Hall show, will be Wise Blood (who maybe you caught open for Wu Lyf earlier this month). 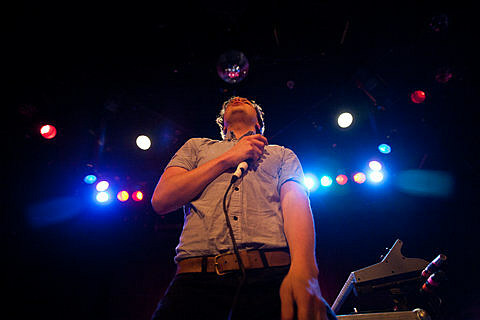 That tour ends in Mexico in mid-June, but Friendly Fires will return later in the summer to headline their own free show at Central Park Summerstage with The Naked and Famous and Cults on Sunday, August 7th (at 3pm). That makes four upcoming NYC shows for Cults who have two scheduled at Music Hall of Williamsburg before then — one free one happening in a week, and another as part of a June tour that also lists them playing a NYC show the same week at The Box. And that doesn’t even count their slot on ATP NJ in September. Cults’ June tour now has an opener too, and that is San Diego band Writer whose new “Miss Mermaid” 7″ you can listen to below.